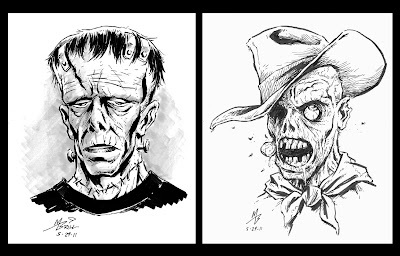 THE BRILLUSTRATOR: Groovy Ghouls at CryptiCon! I spent the day with Mark Monlux at Crypticon, at the Hilton Conference Center in SeaTac, Washington. While I was there mainly to be Mark's booth flunkie and help him out, etc., I did get to meet loads of cool folks and made a couple of promising business contacts and even had time (it was Sunday and a bit slow, I'm afraid) to make a couple of sketches to cover my blog for the weekend! So here are Saturday's and Sunday's sketches. We were situated at the same table with Mark Rahner (yes, three Marks at one small table!) who is the writer/creator of "Rotten", a zombie western comic series!! So I decided to draw a zombie cowboy. 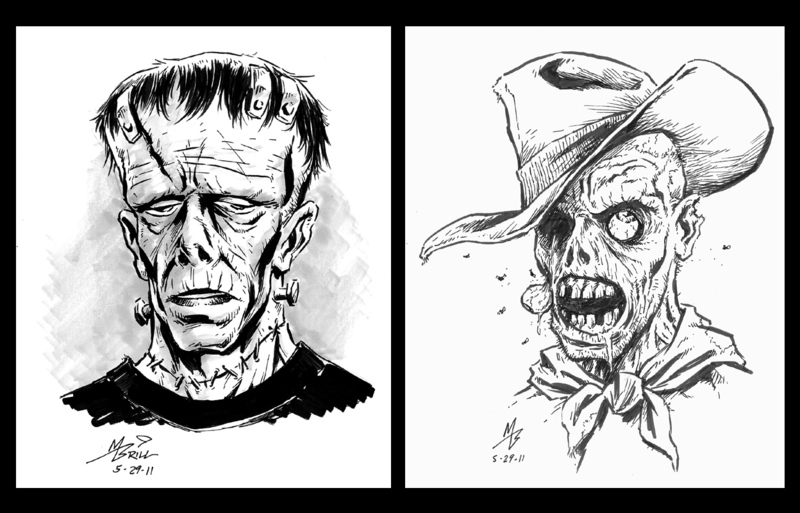 As it was a horror con and not just a zombie con, I figured I should do a classic, so I sketched up Frankenstein's Monster! That fit right into the theme of Mark Monlux's "The Comic Critic" book!